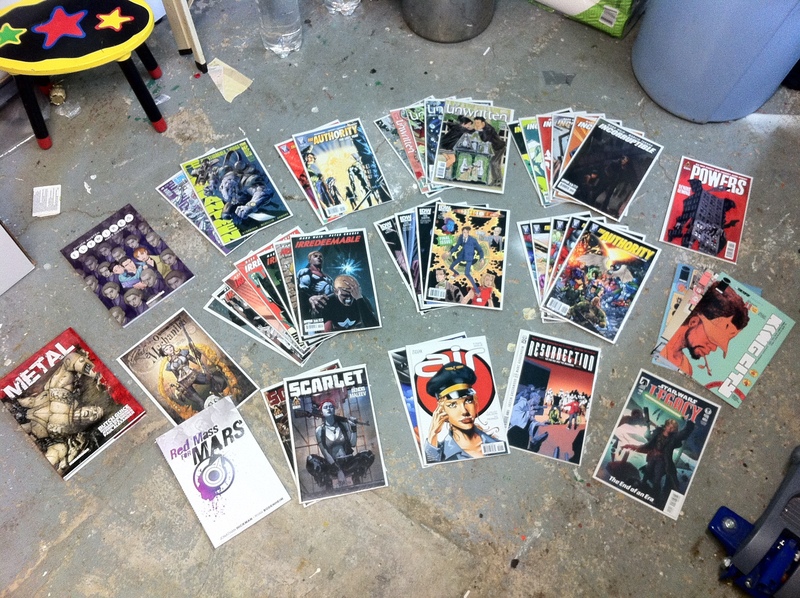 This is what six months of comics looks like. It’s been a busy 6 months. Four of my ongoing titles have ended (The Authority: The Lost Year, Star Wars Legacy, Air & Doctor Who Vol. 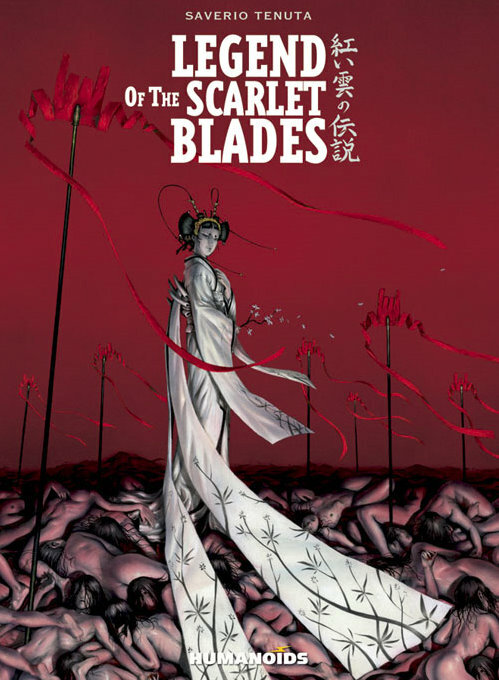 1) and I’ve started two new series (Scarlet & Lady Mechanika). I’ll have to see how those two shape up over the next year. Elephantmen and King City are still going strong as my two favorite titles (and not because Marian Churchland does art in both… okay maybe a little). Meanwhile The Authority ongoing has devolved into a crap fest JLA-esque super team with derivative characters and plot. When compared to the excellent 12 issue Authority The Lost Year series it shows the how bad it has become. And having buried the lead long enough… My new happy place is Humanoids releasing books again in North America (Flywires & Metal). 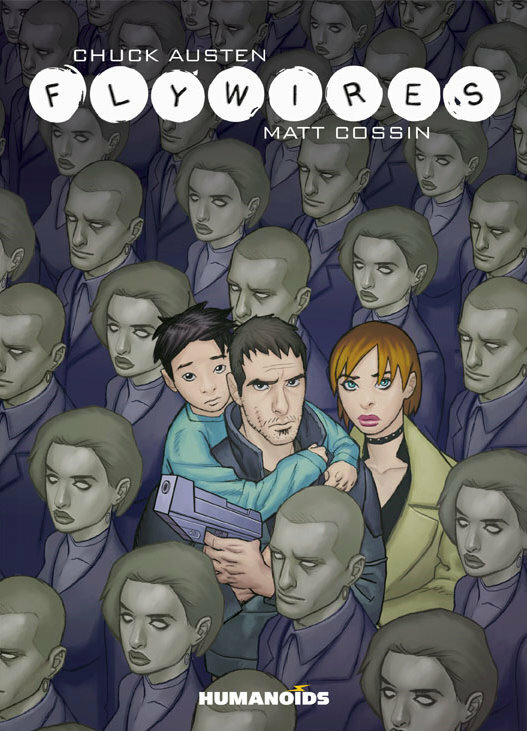 I was hooked on Humanoids their first time around back in the late 1990’s with their reprinting of classics like Incal & Metabarons and new content like Metal Hurlant. I was greatly saddened when they disappeared from the market and their site going silent. My love and interest in their books had me pick-up Flywires and Metal sight unseen. I was not disappointed. Flywires is your basic out of work down on his luck cop, Dyson sphere colony space ship traveling through space and mystery of a kid’s missing mother. All the while being chased by the criminal underworld in flying cars. The art’s line has a slight sketch quality to it that worked for me but at times I found it varying in thickness and a little distracting at times. Chuck Austen has created an fully formed sci-fi world that I only saw a small glimpse of, which is unfortunate. I can’t wait to see how the movie (that’s in development) turns out as Flywires channels the Fifth Element a tad. 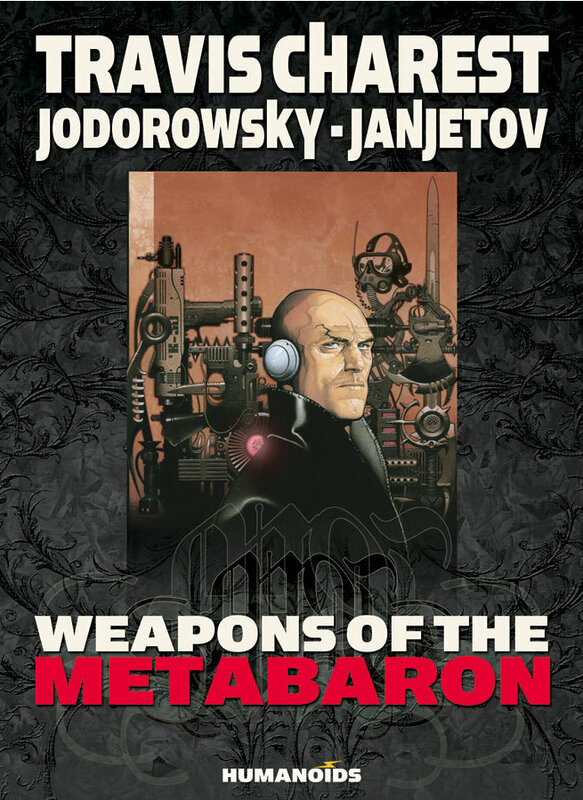 Metal reminds me of Metabarons meets Dune with it’s galactic empire, noble houses and classic betrayal. Plus is a hard cover with a dust jacket so I feel elitist reading it. In Metal, nobles project their consciousness into metal mechanized bodies for battle with no fear of death as long as their physical self is safe in the projection machine. Everything is fine until the Emperor’s physical body is murdered, betrayed and his consciousness is trapped in his metal body where is should be rejected after a set time and he dies. Except he doesn’t and the real story of an Emperor regaining his throne begins. That’s the condensed plot, just feel lucky that I didn’t ramble on. The story leaves things very open ended and odiously there will be a second book but I haven’t heard anything about it. I can’t wait for the next trip to the comic shop as I have ordered both Weapons of the Metabarons and Legend of the Scarlet Blades from Humanoids. This is how comics should be done. I wish I could afford to buy comics. Good collection! We have some of the same, too. I’m about 6 months behind on comics, though. GAH. It’s a stack over a foot high on my bedstand. It’s embarrassing how far behind I am. hehe.